Five more culverts were installed under the Long Point Causeway this winter to provide safe passage for wildlife and potential aquatic connections between the Big Creek Marsh and Long Point Bay. Initial plans called for only three culverts to be installed but two extra were added to the construction contract thanks to $120,000 in funding from the new National Wetlands Conservation Fund launched by the federal government last year. Funding for the initial three culverts came from Environment’s Habitat Stewardship Program for Species at Risk and Ontario’s Species at Risk Stewardship Fund. To date, the Long Point World Biosphere Reserve Foundation has raised more than $1.6 million to install eight culverts and 4.5 kilometers of exclusion fencing along the Causeway. Its monitoring program has found that reptile road mortality has been reduced by more than 50 per cent in four of the six years since the project began in 2008. 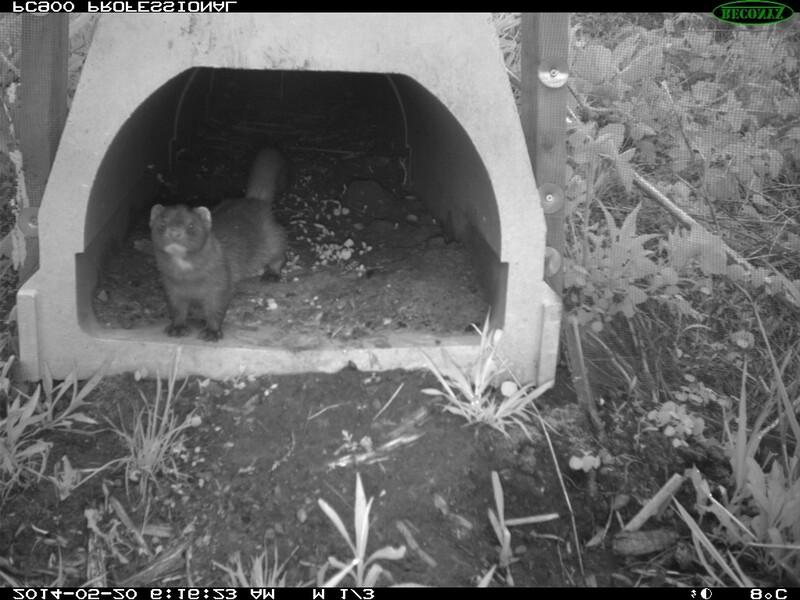 The LPCIP has worked with staff at Long Point Waterfowl to set up motion sensor-triggered cameras to monitor wildlife using the culverts installed in 2012. “We now have photographic evidence that all kinds of wildlife – turtles, snakes and several species of mammals – are using the culverts to pass safely under the road,” said Paula Jongerden, chair of the LPCIP steering Committee. “Our work has made significant progress in ensuring that Species at Risk reptiles will continue to thrive in the Long Point area, one of Canada’s 16 World Biosphere Reserves,” said Jongerden. The overall cost of construction and engineering services for installing the culverts will be about $290,000. As well, the LPCIP has spent about $140,000 to secure the necessary approvals including a full Environmental Assessment, conducting various studies, completing the design and engineering of the culverts and preparing the construction tender. No funding from Norfolk County was required to complete this work. “We’ve received tremendous support from the federal and provincial governments to protect wildlife that were regularly killed by vehicles on the Causeway and reconnect the Big Creek Marsh with Long Point Bay,” said Jongerden. The Project’s other funding has come from Environment Canada’s Habitat Stewardship Program for Species at Risk, Ontario’s Species at Risk Stewardship Fund and the Canada-Ontario Agreement on the Great Lakes.